I’m a big fan of Audible and have been it for over 3 years now. While I use the app on my phone while I commute to work, I use my Apple Watch to play audio books while brisk walking in the park. And of course, my iPad on the bedside table while I’m trying to fall asleep. However, there are times, when I feel the need to listen to an Audiobook while working on my MacBook. Unfortunately, Audible has not provided a macOS app on the store and to make it even worse there is not even an official Audible app for Mac like you get in Windows. 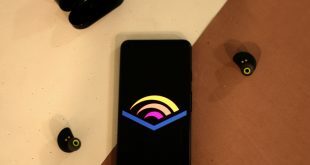 But fret not, you can still listen to Audible on Mac – either by using the official integration with iTunes or by sideloading the Audible Android app on your Mac. 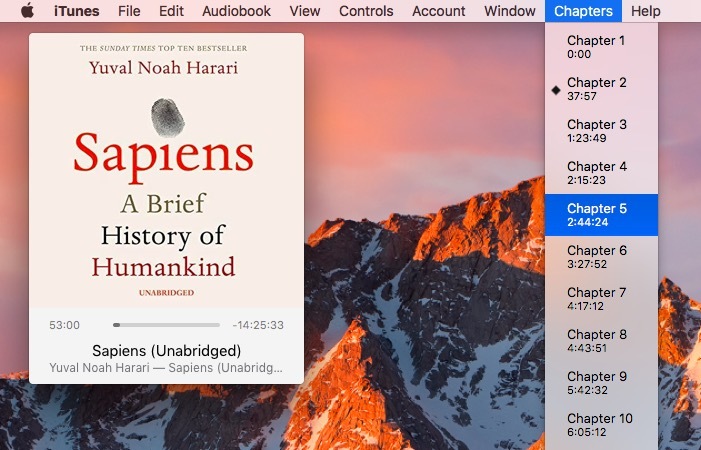 Here is a step by step guide on how to listen to Audible on Mac. Let’s begin. Now, this one may be obvious but it’s worth mentioning. 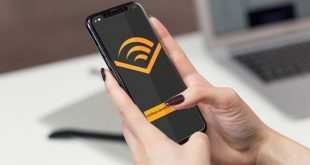 Audible lets you stream your books online using the service called Audible Cloud Player. To use the Cloud Player, go to your Audible website from the desktop and log in. Next, go to your library and click the Play button next to the title. 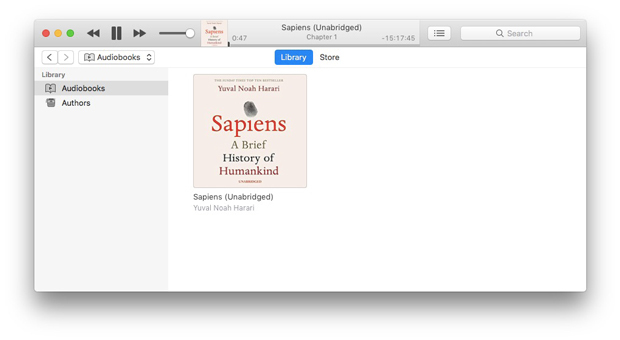 The official way to listen to Audible on Mac is via iTunes. Go to your Library page on the Audible desktop site. Click the Download to the right next to the audiobook you’ll like to download. Once the download is complete, click on the download file. 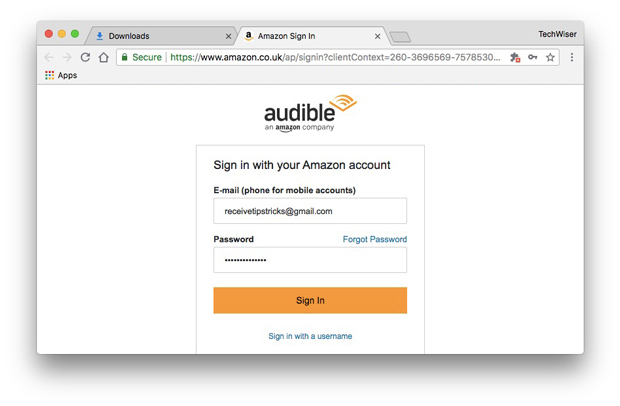 Next, it’ll open a new tab on your browser and ask you to enter your Audible sign-in credentials. Do it. And that’s it, once you authorized it, you’ll see a message Click here to complete your activation. Click on that. This will open the iTunes app on your Mac. To find your audiobook go to the Audiobooks section of iTunes from the top left and then go to Library. There you’ll see your Audiobook there. You can tap on the small picture in picture icon on the book cover to expand it in new windows. There is no option to jump to the next chapter from the iTunes app. However, you can find those options from the Chapter in the menu bar. Basic controls playback and volume control. It also remembers where I was listening to last time. 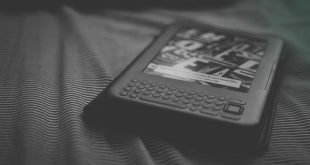 Jump to the next chapter from the menu bar. 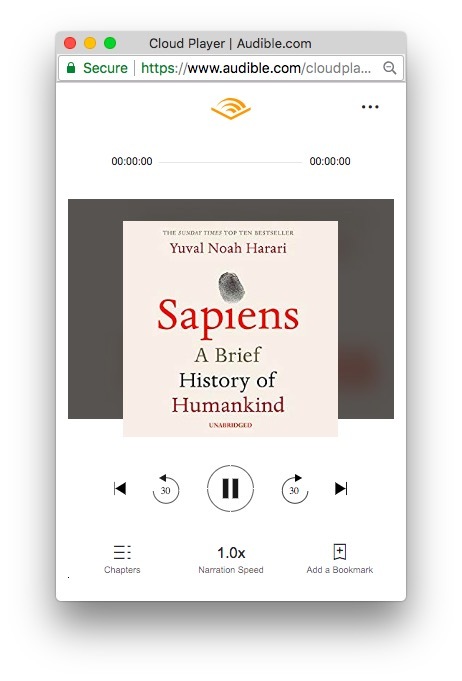 UI is not ideal for audiobooks. 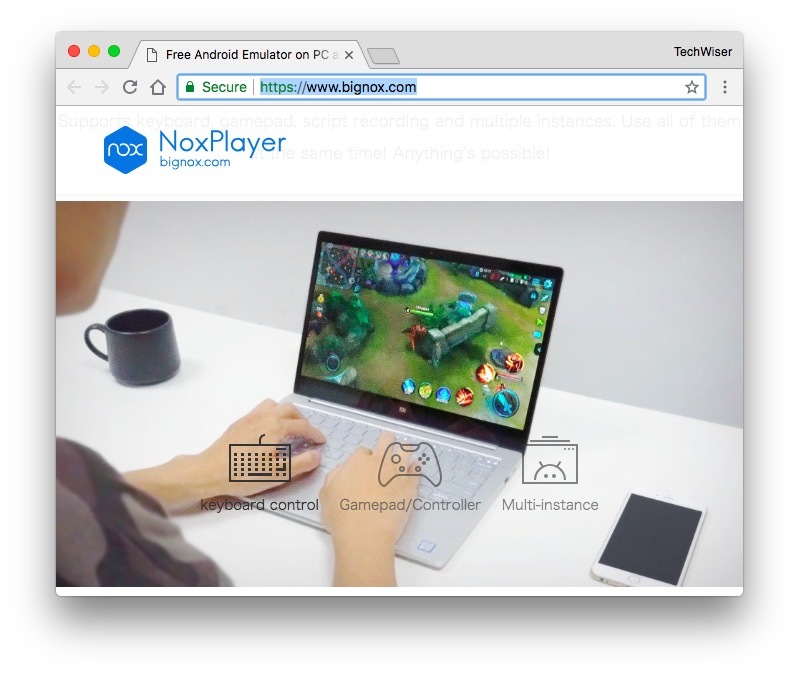 There are many Android emulators for Mac, however, we’ll recommend going with Nox. Although, far from perfect, it gets the job done. And hey it’s free. Go to Nox official website and click on the download button. The file is for 384 MB so shouldn’t take much time to download. Once downloaded, launch the .dmg file and install it on your Mac, just like you install any other Mac app. For this instance, I installed Nox Player on MacBook Air 2013 and surprisingly it worked fine. 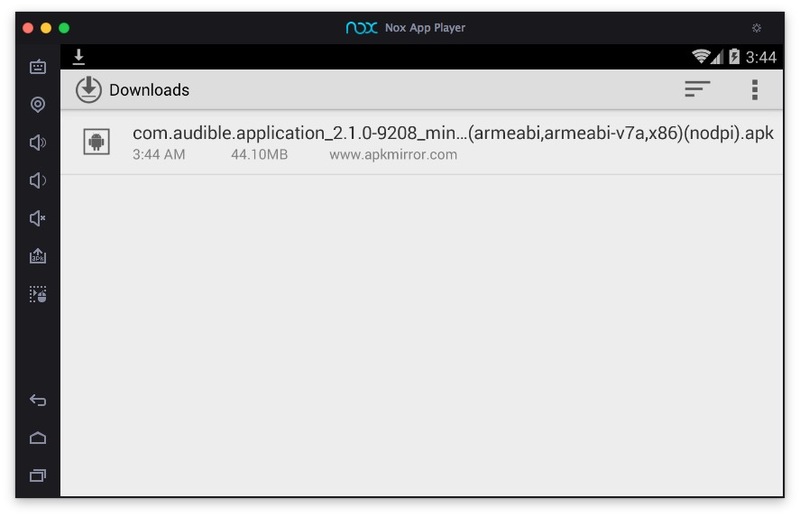 Drag the Nox App Player icon into the Applications folder. Give all the necessary permissions to the app and get started. 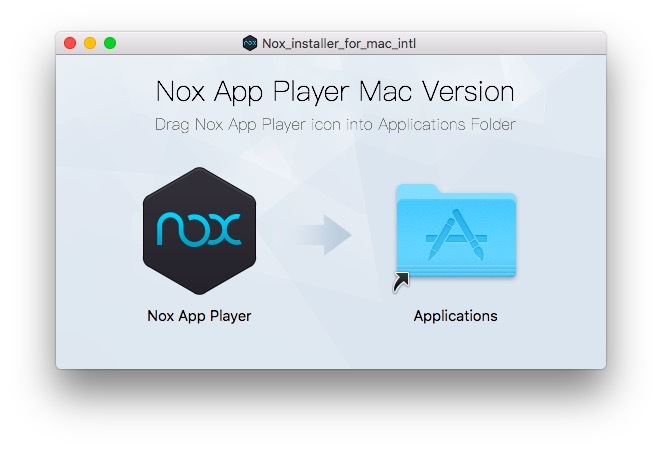 You might also have to restart Nox Player app several times or even restart your Macbook. For some strange reason, it worked for me after a restart, and ever since then, the app is working flawlessly. 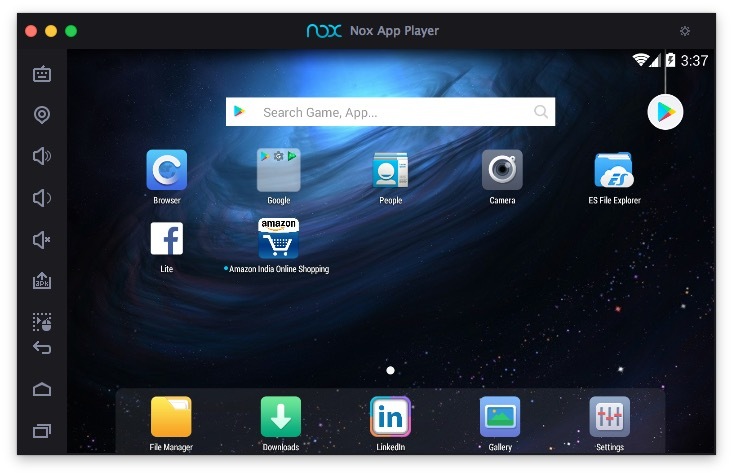 Nox Player looks like a regular Android tablet, with a couple of shortcuts like Back, Home, and Recent apps buttons on the left. 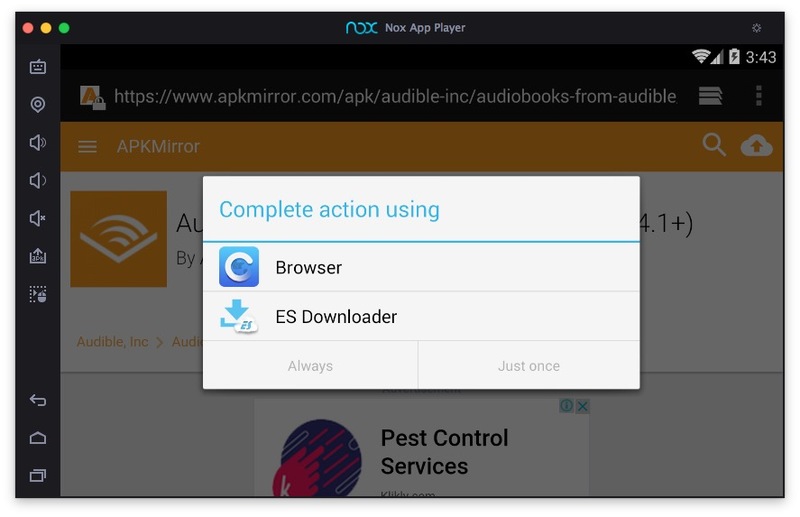 To install apps use Google Play Store like you do on your Android smartphone or you can download the apk file from the web browser inside Nox. 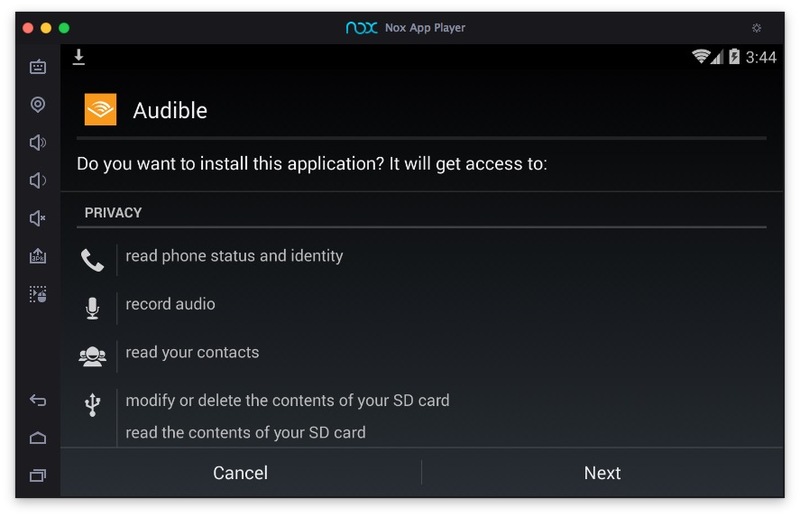 On the home screen of Nox Player, you should see a Browser, click on it and go to Google and search for Audible android apk. Alternatively, you can copy paste this link. Fortunately, you don’t have to make any changes in the Settings. Install apk like you have to do in Android smartphone. Once the apk file is downloaded simply click on the file and you are ready to install it. Read all the permissions and click on Next. The good thing about Nox is, you can also change you geo-location by clicking on the second GPS option on the top left menu bar. 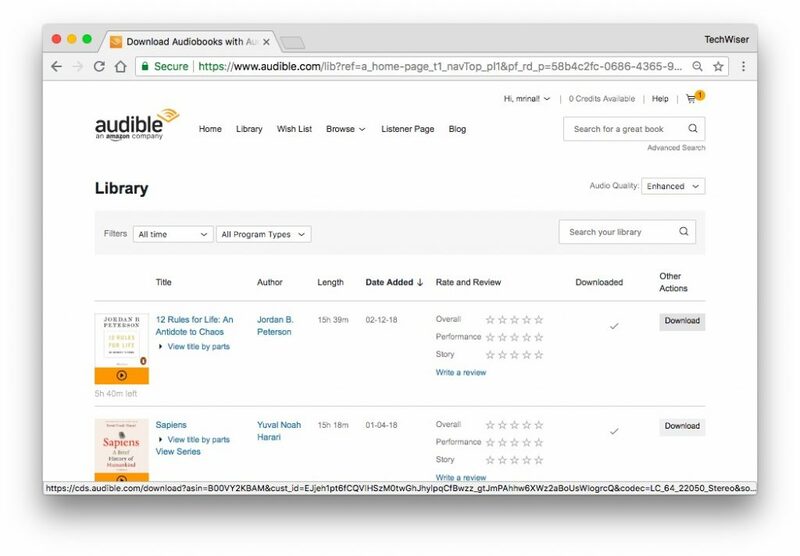 This will help you install audiobook not available in your country. You can also go to the general settings menu to specify how much memory you want the program to use. And that’s it. You have successfully installed the Audible smartphone app on your Mac. Since it’s optimized for a phone screen, it will switch to a vertical view. 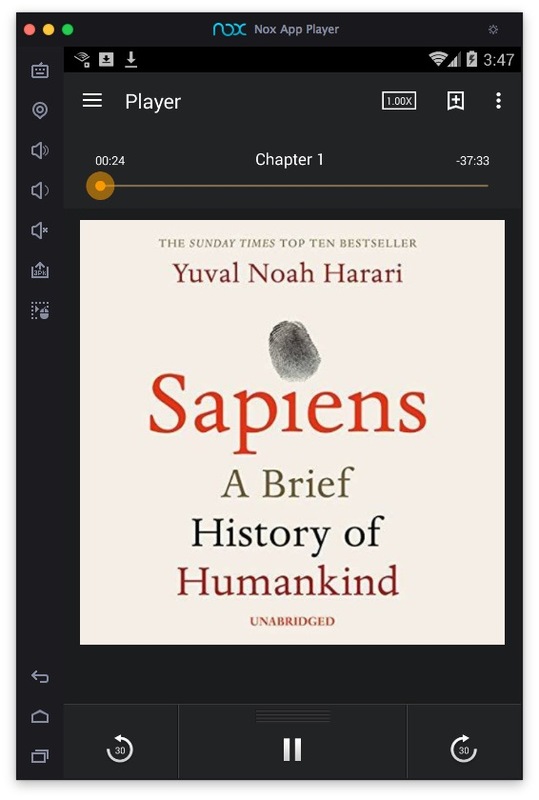 Log in to your Amazon account and you should all your purchased audiobooks under library section because the UI is intuitive and you get all the options like playback speed control, sleep timer, switch to chapters easily. How to Listen to Audible on Mac? So, these were some of my favorite methods to listen to Audible while I’m working on my Mac. 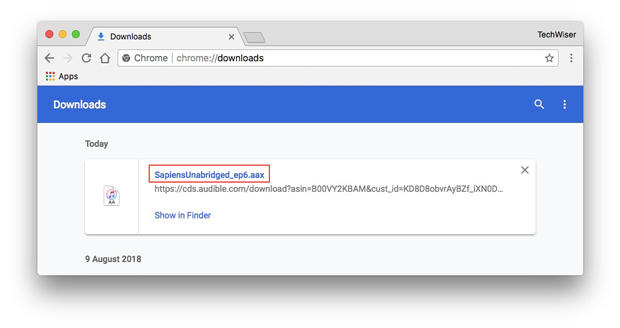 Alternatively, you can convert the Audible aax file to mp3 using apps like OpenAudible while listening to it with your favorite music player. The app is free and also open source and available for all platform. This is usually helpful when you have an older iPad with no Audible app. The setup is easy, once installed simply import the aax file and conversion process with a start when you click on the Audiobook.